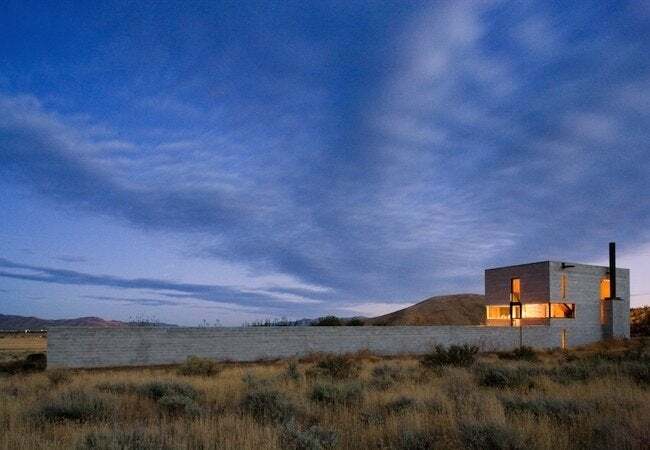 Architect Tom Kundig designed the Outpost not only to withstand the brutal conditions of the desert, but also to witness its beauty. In the Idaho desert, the Outpost sits at the end of a half-mile-long driveway. 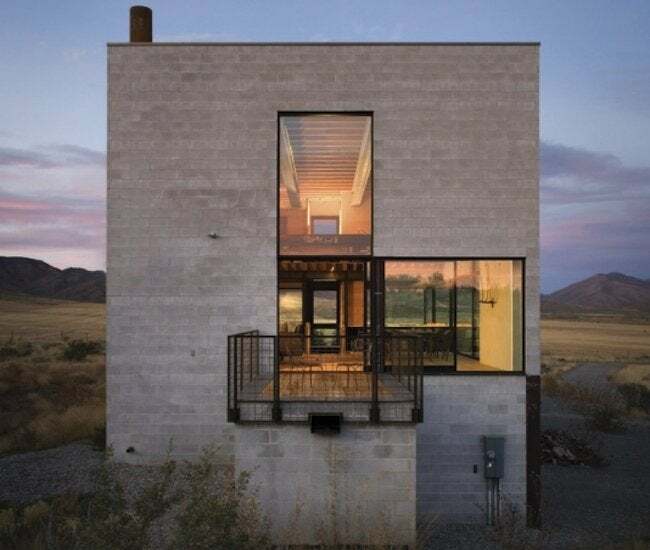 Designed by architect Tom Kundig, the house belongs to an artist who lives and works inside its boxy concrete form, and who collaborated with Kundig over the course of what became a quite lengthy process. For nearly a decade, a series of unanticipated constraints forced Kundig and his client to scale back and refine the original plan, over and over, until nothing beyond the essentials remained. Making up much of the interior is a large, open space that includes the kitchen, living, and dining areas. A staircase leads to a mezzanine bedroom, which looks over the undivided volume below. On the very bottom level is a utility room and the homeowner’s office and studio space. Windows—some as large as eight-by-eleven feet—interrupt the concrete exterior walls on all sides of the structure. 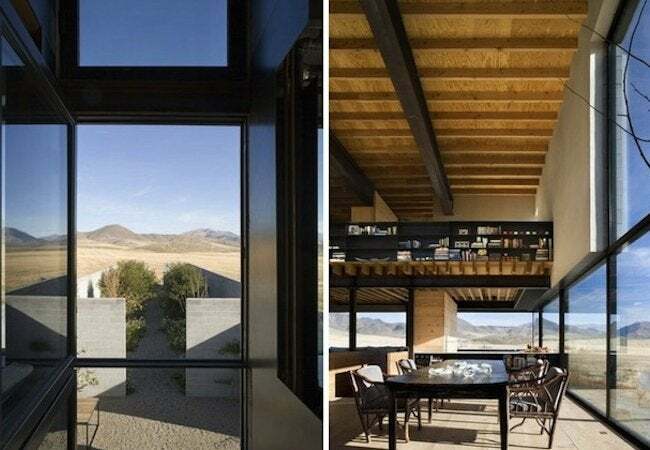 Through these panes are sweeping views of the desert and its undulating hills. Kundig has described the Outpost as a Tootsie Roll, “hard on the outside and soft on the inside.” In response to the climate and its extremes, he chose durable, low-maintenance materials, beautiful in their utilitarian simplicity. No surfaces have been unnecessarily modified. Even indoors, one sees mainly raw, unfinished wood and natural, unpainted plaster. Several elements—the exposed steel beams, for instance—recall the farm and mining buildings seen nearby. This is the region where Kundig grew up; reportedly, he took the job in part to reconnect with the land and architectural vernacular that had fascinated him as a youth. 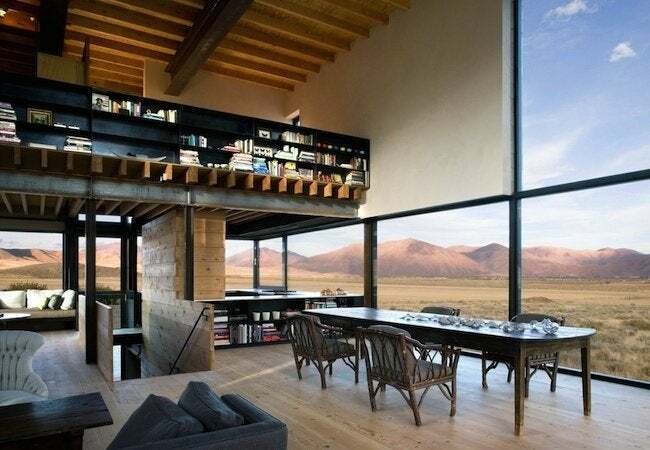 However artful, the interior excels in one respect most of all: It focuses attention out towards nature, the seasons, and the ever-stunning desert landscape.